If I were to go on a date and had somewhere nice to go for dinner on Valentine's day, these are the items I'd probably use! Haha. With Valentine's Day just around the corner, I wanted to share some essential items I'd use to get ready for a date night. Even if you are going out with your girl friends, you can definitely use the same products though maybe going bolder on the eyes and/or lips. For me personally, I would keep things light with the make up and as natural as possible, especially with the lips. You don't want to have to worry about a bold lip smearing and or getting it all over him during your good night kiss *wink wink*. The night should start of with good skin. If your skin is feeling and looking great, it means the less you need to put on your face and let your natural beauty shine through. Take the time to cleanse and exfoliate your skin and apply a good moisturizer. 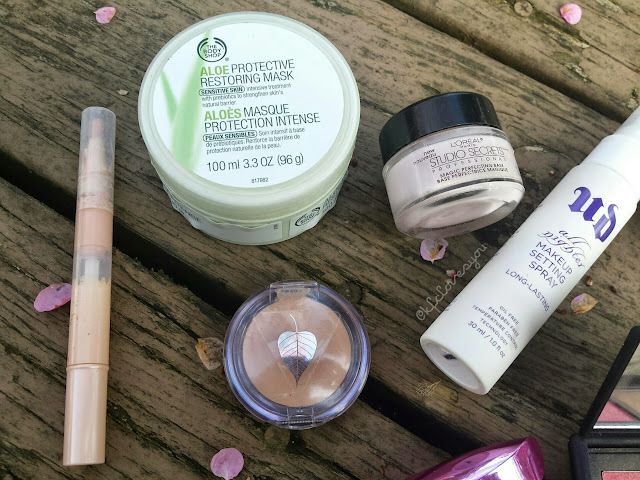 I like to make sure my skin stays extra supple so I would use this The Body Shop Aloe Protective Restoring Mask (mini review here) and treat it a thicker moisturizer. Let it soak into your skin--no need to wipe it off. I would go light on the face make up and prepare with a nice base. I really enjoy using the L'Oreal Magic Skin Perfecting Base for the t-zone area and even under the eyes to keep concealer from creasing. I'd cover any blemishes with a nice skin-toned concealer like the Miessence Concealer in Medium and use it on my under eyes followed by brightening them along with highlighting the rest of my face with Maybelline Dream Lumi Touch Highlighting Concealer in Radiant. I personally don't use face powders much I do like to set my face with a setting spray such as Urban Decay All Nighter. For the eyes, I'd keep it super simple with a little bronzer to contour and add definition, like the NARS Laguna Bronzer and then some mascara and that's it. 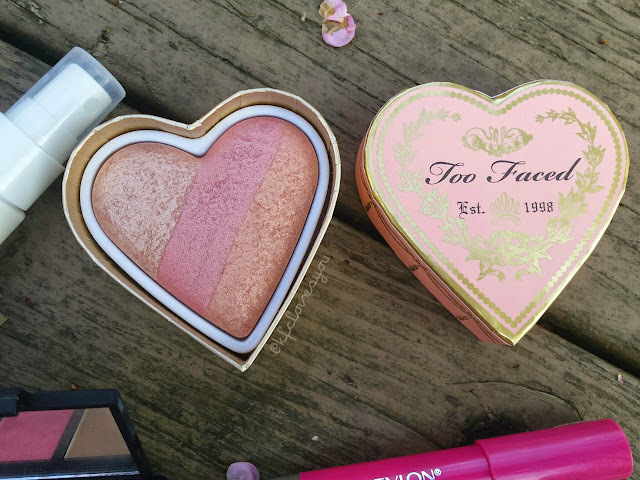 Right now I only have the L'Oreal Voluminous Miss Manga Mascara To add a bit of warmth, I would use a bit of Too Faced Sweathearts Perfect Blush in Peach Beach (and let's face it, this packaging is too cute) on the cheeks and even around the face. 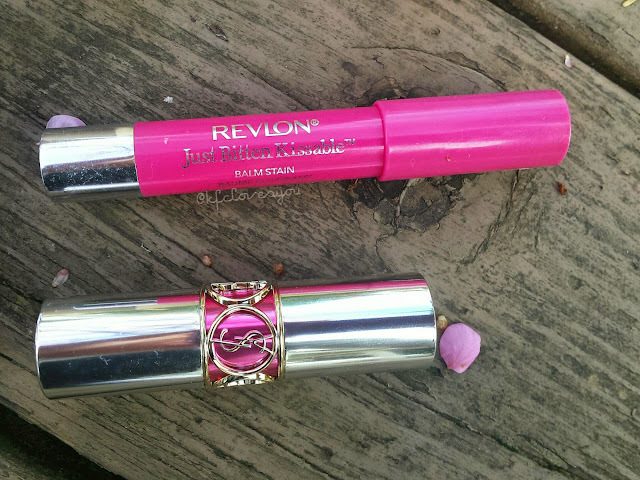 Lips will be super simple with either a pinky gloss or a light pink stain. If I want more color, I would do the Revlon Just Bitten Kissable Balm Stain in Sweetheart (again another appropriate name!) 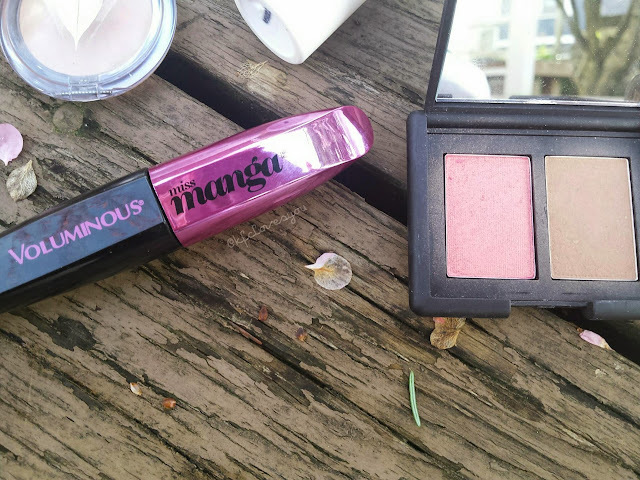 or for something more subtle, the YSL Volupte Sheer Candy in Cool Guava (review HERE). I forgot a nail polish, but since I haven't worn any in a long time, I would keep it either clear or very neutral. And you can't forget to smell nice! Either spritz on your favorite perfume or slather on the body cream and you're good to go! 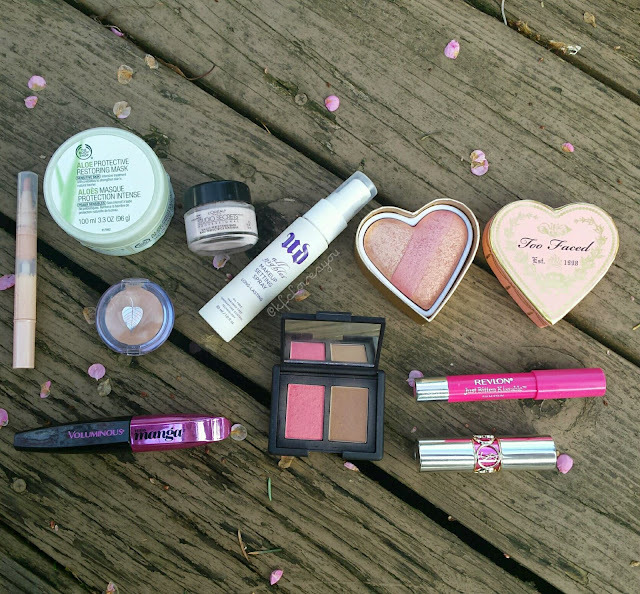 What are you some of you make up essentials for a 'date night'? What are your plans for Valentine's Day this year? I love the urban decay setting spray!